Overnight Example: If you order a non-embroidered Smock on Monday before 5pm EST it will ship on Tuesday and you will receive it on Wednesday. 2nd Day Example: If you order a non-embroidered Smock on Friday before 5pm EST it will ship on Monday and you will receive it on Wednesday. 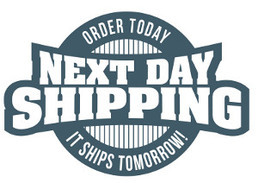 Kids Artist Smocks.com reserves the right to substitute a different shipping carrier with the same cost and delivery date for all domestic and international shipments.